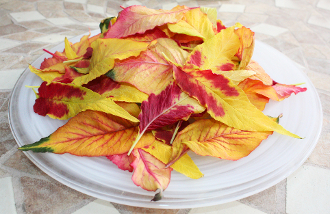 Stunning array of yellow, pink, orange, red, and green colors that resemble fallen leaves. Great as a garnish on dessert trays, fruit platters & cheese plates. Perfect for Fall.